Last time here on the Bone Pile I added to my growing collection of Cemetery Dance reviews. Have you read all 5 of them yet? 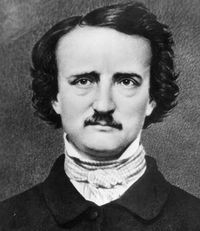 Edgar Allan Poe’s “The Raven” is the greatest work of literature ever written. Period. -Author of the greatest literature ever? I hope so, because I really think I’m going to prove it to you. Yes, if we want to have a really good conversation, we’ll have to involve other names like Shakespeare and Chaucer and Hemmingway and Joyce. Probably another two or three dozen, as well. I’ve read many of them. I’ve been impressed by all. But to be perfectly honest, as great as these authors are, for me “The Raven” shines above each and every work by all the other masters. There’s just something genuinely magical about it. There’s something deeply satisfying with how well designed it all is. Admittedly I did have to hesitate in the use of the word ‘perfection’ because in writing there’s really no such thing… but I’ve personally never come across a single written work which comes closer. Today’s post is all about me attempting to prove that magnificent claim. And I going to do it by begging of you one single, imaginary, action. I want suggest that you write a hypothetical ‘perfect poem’ of your own and compare the two. All you have to do is manage all the feats that Poe manages. -Published in 1845, it vaulted this relatively unknown author from Baltimore, MD into instant fame. -Nearly a hundred ‘50-cent, high-quality’ words considered well above the vocabulary of the standard reader. -A prominent U.S. congressman was so impressed with the poem’s beauty that he memorized it so he could recite it to friends & family. That congressman’s name was Abraham Lincoln. -Poe was only 35 years old when he wrote it. Can your perfect poem flood the page with that many figurative words? Can it impress the likes of probably the most respected president our country has ever had? Can you do it before turning 40? I’m already past that milestone myself. For me, the most notable and impressive aspect to “The Raven” is its stunning yet haunting lyricism. If you’ve ever heard the whole thing read aloud, you have no choice but to feel those melodic cadences. That drumbeat or heartbeat of the macabre. It’s almost like the whole thing is actually a song and the words themselves provide the music. Why does this happen? Well, the form & meter Poe created is actually quite complicated– it’s called “Trochaic Octameter” (more on that later)– and yet despite its overall complexity the words simply flow from the tongue with very little effort. There’s no doubt Poe used all his efforts & stretched the limits of his vocabulary to make it all move with such fluency. It’s… amazing, to be honest. First, hear those rhymes. They’re in bold & I’ve marked the pattern at the far right. There are 12 rhyming words in all. Note that Lines 1 & 3 each have words that rhyme in the middle of the line (called “Internal Rhyme”). Side Note: The words “‘Tis” and “visitor” are kind of cheats in that the rhyming sound comes in the middle of one of those words. This is technically a combination of what’s called “assonance” (repetition of a vowel sound) and “consonance” (repetition of a consonant sound), not “rhyme” (repetition of any sound at the end of a word), but it does the same thing for our ears so I’m including it along with rhyme. Meanwhile, the most notable rhymes come in lines 2, 4, 5, & 6. They’re easy to pick out b/c it’s always an “-or” sound (“lore”, “door”, & “more”). Later stanzas include: “Lenore”, “floor”, “before”, “implore”, “explore”, “yore”, “wore”, “shore”, “bore”, “outpour”, “store”, “core”, “o’er” (a purposely misspoken version of ‘over’), “adore”, and– most famously– “nevermore.” What’s most striking is that this flurry of “-or” words ALWAYS appear in the lines 2, 4, 5, & 6 and in the exact. same. spots. Go ahead and try it in your mythical poem. Next, there’s the alliteration. I’ve underlined those above. Note that line 1 has friggin’ FOUR of them. Line 2 has a pair. Line 3 has four more. Line 5 has another pair. Again, that’s not easy folks. Go ahead and try. But make sure you haven’t lost those 12 rhymes in the process. Also, did you notice that ‘weary’ and ‘napping’ are simultaneously both rhymes AND alliterations. 2- Each of these pairs stresses the first of the syllables. (ONCE-U… PON-A… MID-NIGHT… DREAR-Y) (We call this a “trochee”). But, check this out… There’s something not quite right with lines 2, 4, 5, & 6. In each, there is an ODD number of syllables (15, 15, 15, and 7), which means there’s a broken pairing at the end. What has happened is that Poe has left each “-or” word at the ends of these lines hanging all alone without a syllabic partner. Each one then tends to draw itself out in our ears (“As of… someone… gently… rapping,… rapping… at my… chamber… doooooor.”) This is not a mistake. Not when it happens each and every time. It’s purposeful, and Poe is putting extra emphasis on those words, on that sound, because he wants to make it stick. He wants us to feel that sound four times in six lines. Did you add that to your poem? Without losing any of your other rhymes? That’s 2 rhymes, 4 “t” sounds, 7 “suh” sounds, and 7 ‘F’ sounds. It’s not even half a stanza. You got it? Ok. Good. Poe does all of this, over and over again, for SEVENTEEN MORE STANZAS. And we haven’t even talked about the *story* yet! (I’m saving that for last). For now, let’s talk symbolism! On top of all that lyricism, Poe also manages to work in a bunch of symbolic objects & concepts, each worthy of a paragraph or four of detailed analysis. -THE RAVEN (narrator treats it first like royalty [“In there stepped a stately raven of the saintly days of yore.” & “And with mein of Lord or Lady perched above my chamber door,”]… & later like a prophet [“ ‘Prophet!’ said I. ‘Thing of evil! Prophet still if bird or devil!’ ” … it’s also black (see above)… it “speaks” = personification (side note: ravens really do repeat any sound they hear with sickening accuracy. Check Youtube for 5 minutes & you’ll see)… and intelligence (they’re actually very smart birds too). There are others, to be sure. These are just the big ones that stand out. So go ahead and add that list (plus a few I didn’t dig deeper to expose) to your hypothetical poem. I’m guessing you’ve probably given up by now. If not, you’re probably a writer like me. Either that or just stubborn. The first time I read “The Raven”, I thought it was a story about love. It’s clearly a story about insanity… about how a sad man misinterprets a serendipitous visit from a semi-tame bird, and loses his mind in the process. Poe give us more than enough evidence of this, but the best of it is in the constant, macabre tones delivered and accelerated throughout. -He’s been pouring over old books of unknown origin. -And then there’s a knock at the door which, understandably, freaks him out. -He *hopes* it’s just a visitor (aka: Not a ghost, goblin, demon, or maybe even Satan himself). The room this poems takes place in feels like the perfect place to brood over your pains. It’s probably a library or a study with unique, expensive objects on the shelves. It’s all-too easy to imagine a glass of brandy and a pipe on the table under lighting that’s a little too dim. How about this… there are various objects that denote wealth such as the “silk, purple curtains” and, later, a “wheeled, cushioned seat” with a “velvet lining”. There’s the bust of Pallas– a true luxury item– which just happens to be placed above his “chamber door” (not ‘room’… ‘chamber’). All of this lavishness in turn suggests this man lead a life of relative leisure… until recently. Seen now in this somber setting, it emphasizes both what he’s lost and what he still stands to lose. The first few stanzas set that tone, which means when the narrator opens the door to the outside & sees nothing but blackness (more symbolism… more tone), we are all fully prepared for the big reveal which takes us to Act 2 of our story. 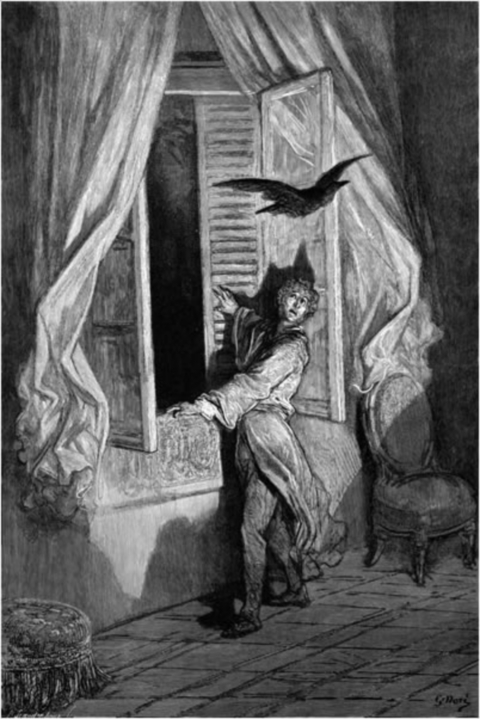 One of several famous steel-plate engravings of “The Raven” by French artist Gustave Doré. Doré died shortly after completing his work on this poem in 1883. 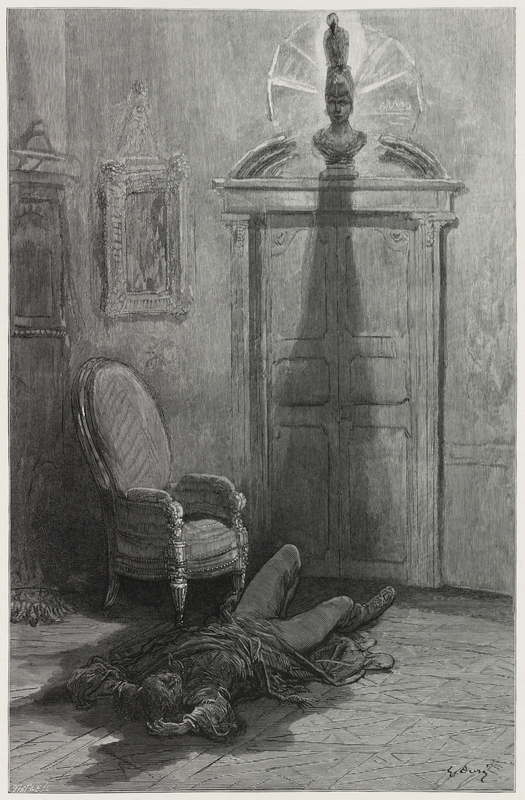 The 24 illustrations were published posthumously in 1884. When the narrator returns indoors & hears another knock, he opens the windows (much to his continued trepidation) and the raven flies inside and perches itself (again, symbolically) upon the bust of Pallas. So now the narrator is curious. He wheels that cushioned seat to give himself a better view. But the raven doesn’t speak again or even move until the narrator thinks perhaps God sent the bird to him as a kind distraction from the death of Lenore. 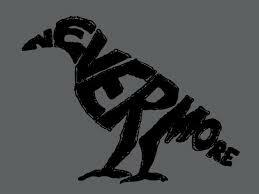 The bird, of course, says “nevermore” and he is suddenly excited to think this is proof of his notion. When he then asks it a direct question, we know what the answer will be. The fact that his question is so loaded (he asks it if Heaven is real) suggests he is already losing his mind. The answer this time is ‘proof’ to him of its clairvoyance. “ ‘Be that word our sign of parting, bird or fiend!’ I shrieked upstarting. ‘Get thee back into the tempest on the night’s Plutonian shore! Going back to the tone for a moment… Can you feel the power of that moment? He’s literally shouting. It’s a potent, visceral image which in itself denotes death. Is he insane now? Perhaps. Probably. The final image of Gustave Doré’s “The Raven” homage… and also of his career. But that’s not the tone we are left with, oh no. There is one more stanza to go, and that stanza changes everything and leaves no doubt. When the raven responds to the narrator’s demand to leave with one final iteration of ‘nevermore’, he surprisingly has no reaction at all. Instead, the poem’s next words tell us that great amounts of time have passed, slowing the pace to a crawl and returning us to the opening stanza with all its patient- if not ominous- overtones. So… about that perfect poem of yours…. Does it tell a complex, multi-layered, fully transformative story? What about that rhyme and meter? The lyrical nature of the words themselves? Yes. We have no choice but to see Poe’s masterpiece for what it truly is. Or in the least, the best thing ever. Hell, even The Simpsons respects it. https://i1.wp.com/www.fictionvortex.com/wp-content/uploads/2016/09/Bone-Pile-FV-Featured-Image-11-1.jpg?fit=1024%2C512 512 1024 K Edwin Fritz http://www.fictionvortex.com/wp-content/uploads/2017/10/grey-fv-banner-01-300x138.png K Edwin Fritz2016-11-17 00:23:322018-06-04 10:32:21013) Poem Review: "The Raven"